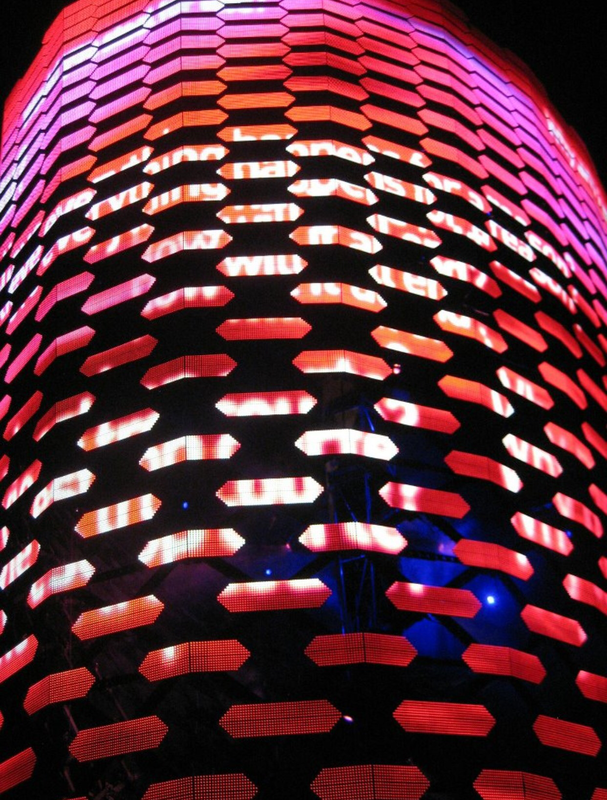 U2 is an incredibly significant part of popular culture, perhaps even our Greek chorus–the conscience of the people. Their 40-year career making music together is nothing short of stunning. 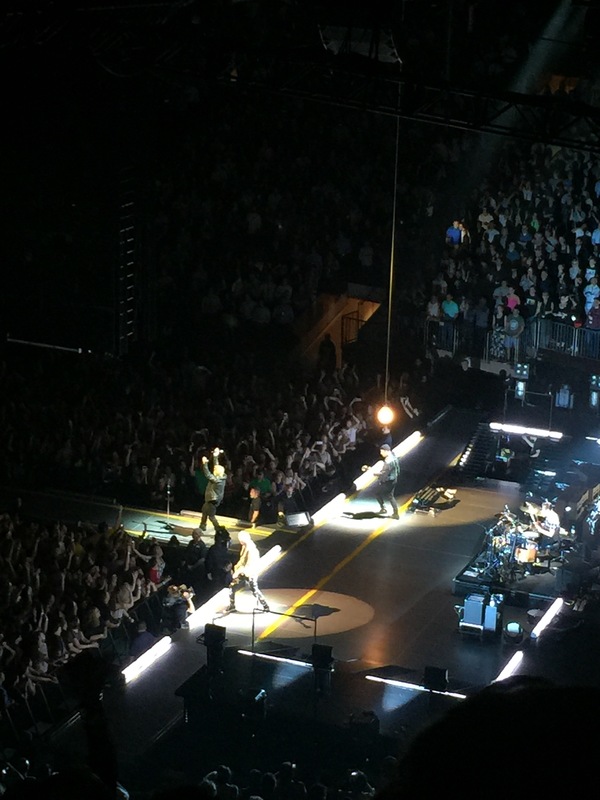 Bono, The Edge, Adam Clayton, and Larry Mullen Jr. are phenomenal musicians and their song catalog is incredible. They’ve written songs to educate and move people, and their philanthropic work has been extraordinary and impactful. 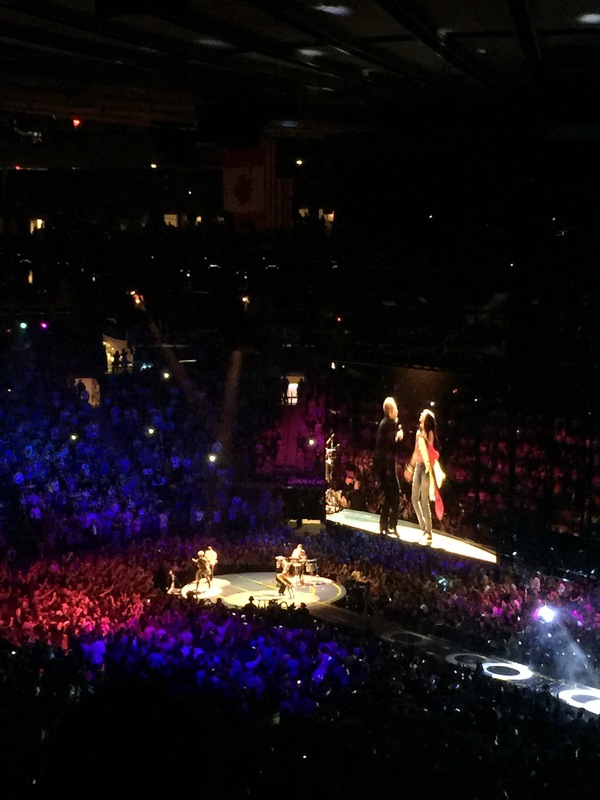 I’ve had the pleasure of seeing U2 live seven times over the course of 15 years. I got to see their Elevation, Vertigo, and 360 tours—even waiting outside in line in Montreal for a solid eight or nine hours in the hot sun to get inside the inner circle of their last tour. 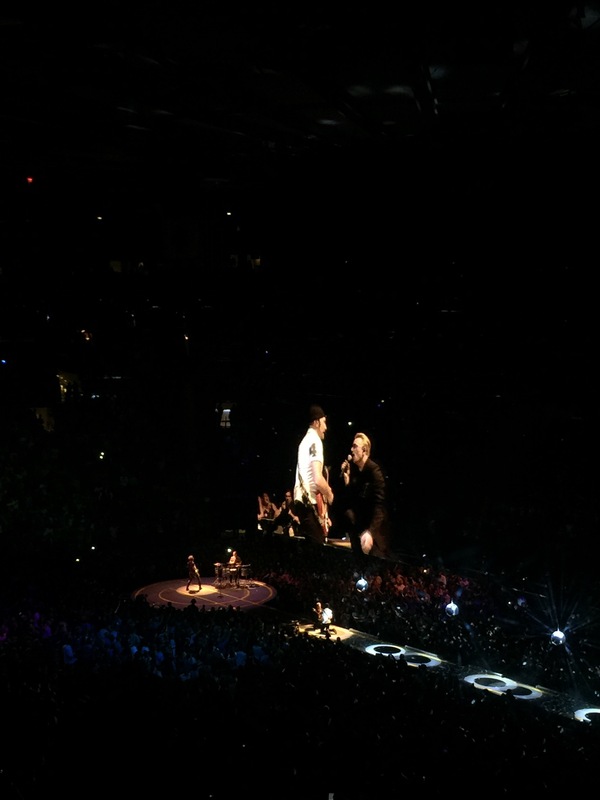 Getting to see any U2 show is monumental. I’ve joked that going to see them is like going to worship in the “Church of Bono.” He’s preachy live—educating the audience, asking for their support for causes important to him, and encouraging us to be more open minded and take an active role in our global community. 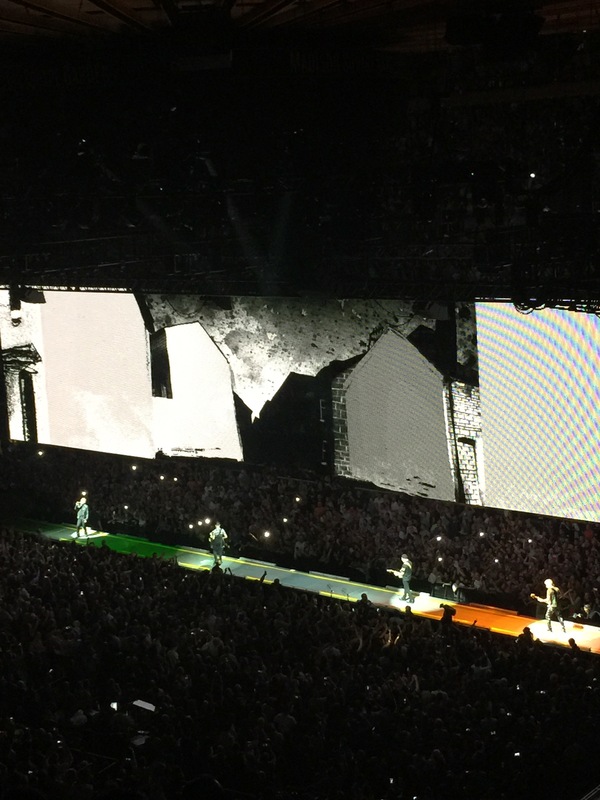 Getting to hear “Sunday Bloody Sunday,” “One,” “Pride” and “Where the Streets Have No Name” live is spellbinding. You feel like you’re part of a significant, dare I say it, sacred, experience. It’s really something. So my expectations of a U2 live show are obviously high, based on my past experiences. 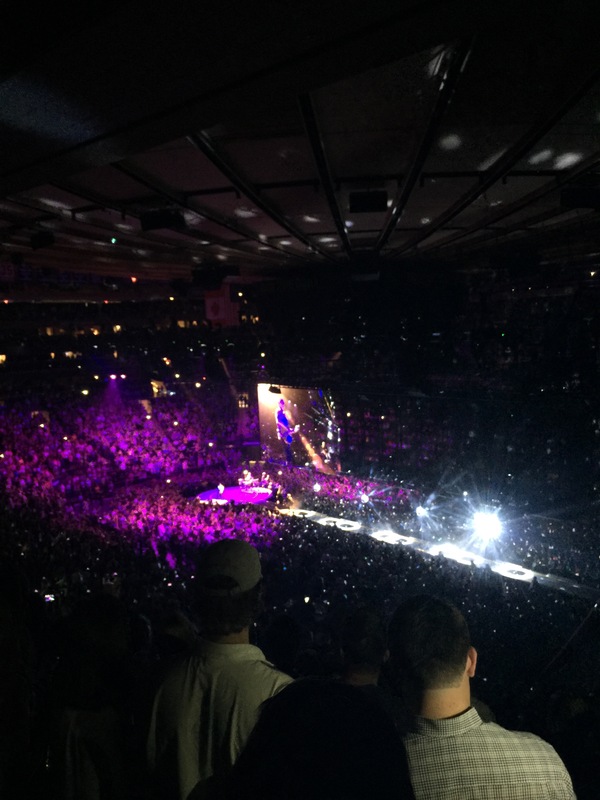 And this show at Madison Square Garden, my first there, just didn’t reach the bar. 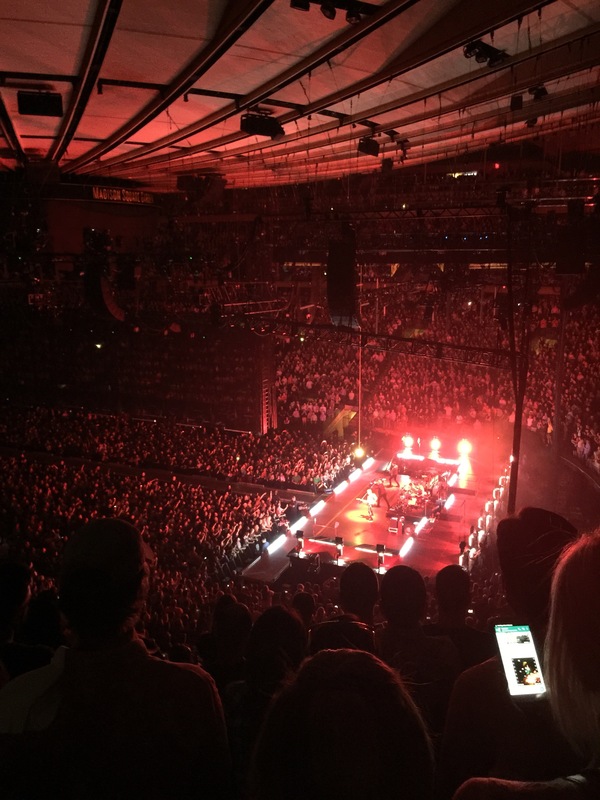 It’s sort of shocking to write a less than stellar review of a U2 show, but if I’m being honest, this night fell flat for me. 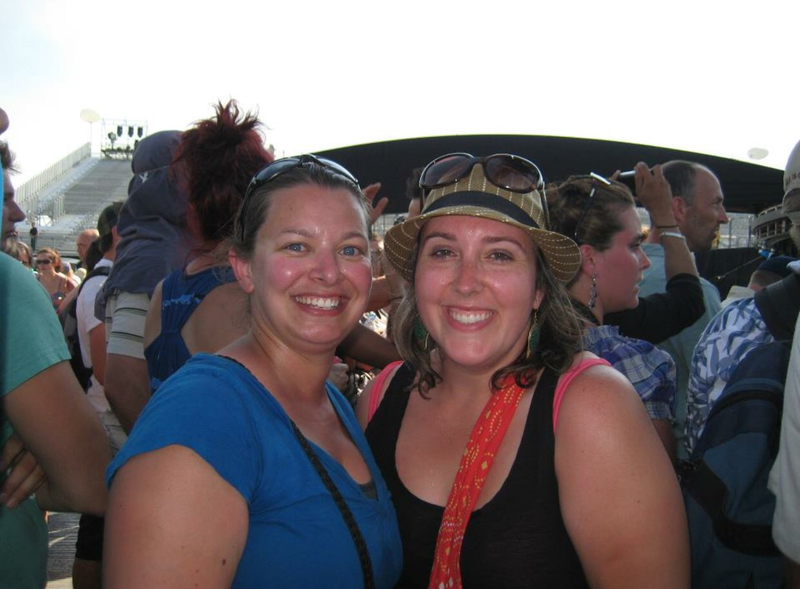 2011–Kim and I are still smiling after waiting at least a solid eight hours for U2 in Montreal! Inner circle! 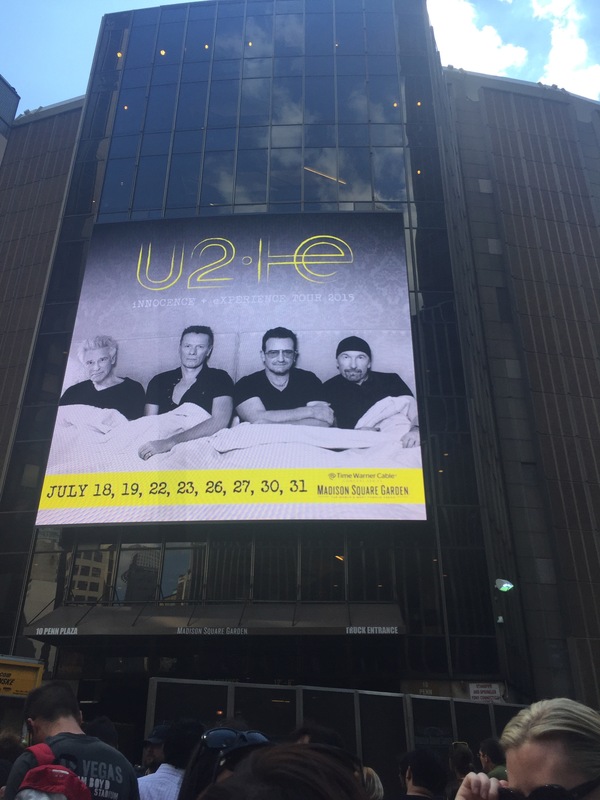 My dear friend and U2 super fan Kim and I made it an adventure and spent the afternoon standing outside Madison Square Garden hoping to meet the band. She and I both know folks in Montreal and Boston who happened to be at the right place at the right time and got to meet members of the band, so we had our fingers crossed and our hearts set on it. 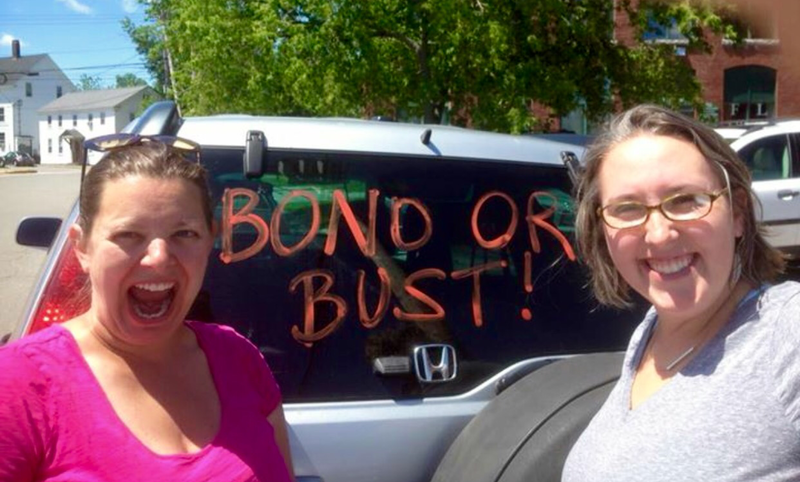 I even know someone who Bono pulled on stage for a solid ten minutes at one of the Boston shows, so hopes were high. 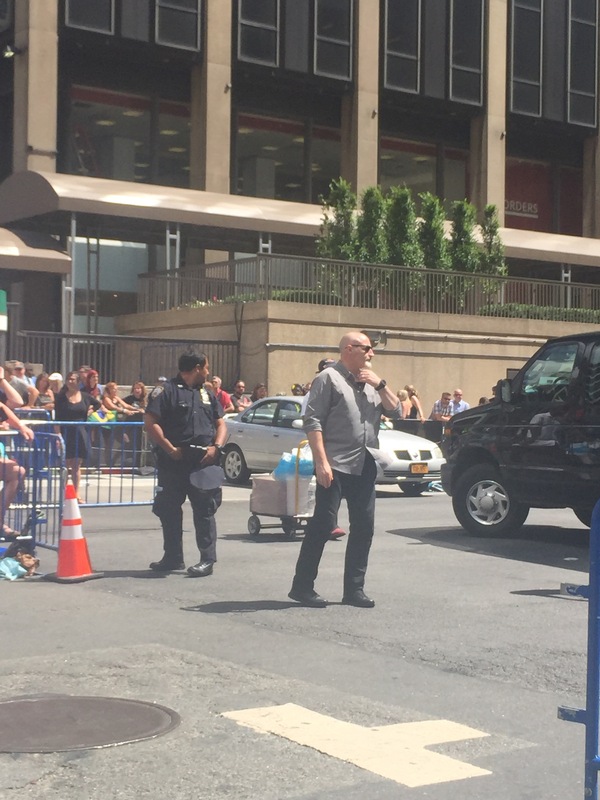 After seeing all of the guys drive into MSG, we hoped they’d come out to greet us, but had no luck. Kim looked back at the set lists from the tour and saw that they’d been playing some songs they hadn’t played live in decades, but that didn’t happen for us. Jimmy Fallon was the surprise guest the night before our show, and Lady Gaga and Bruce Springsteen were guests on nights after us, but there was no special guest at our show. 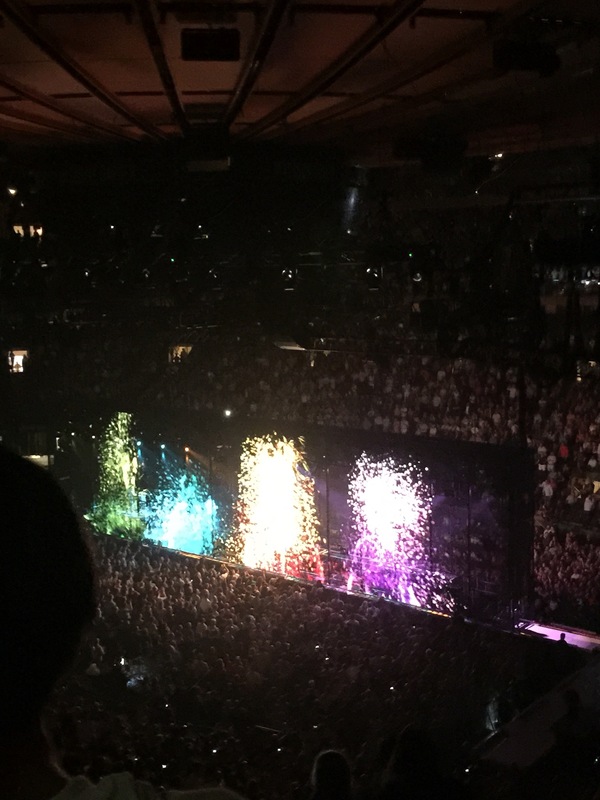 I think I would have been less disappointed if I hadn’t known so much about the other nights before going into the show.U2 always sounds great, which they did, but their set was slow moving and not full of the hits I’d come to expect to hear live. 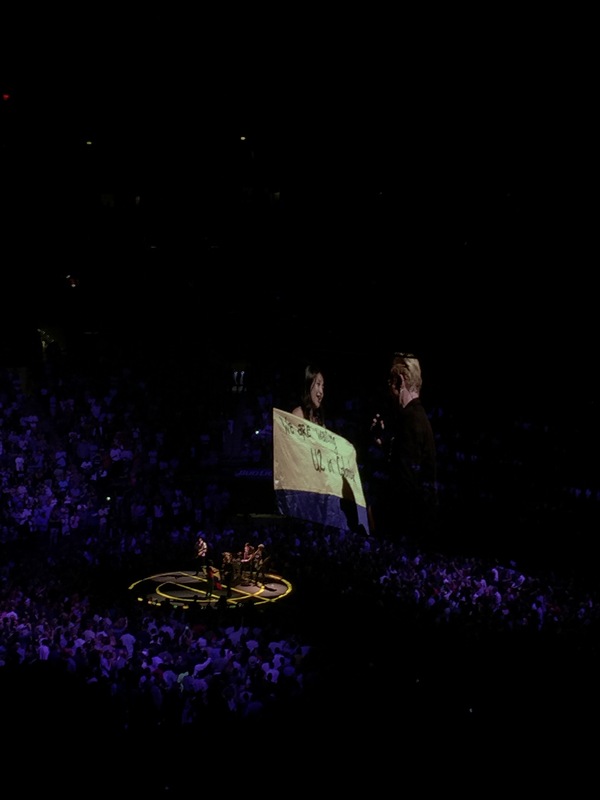 I suspect that maybe Bono was tired that night, because he didn’t talk to us as much as usual, either. Their stage design was impressive with a very long catwalk stage, which was neat and gave people in GA a lot more opportunity to be close to the band at some point during the show. Their set also included an LED cage that ran the length of most of the stage, and even though the graphics they projected on it were cool and the fact they climbed up into it to play was neat, I didn’t like being even that much farther away from the band I’d paid so much and come so far to see live. 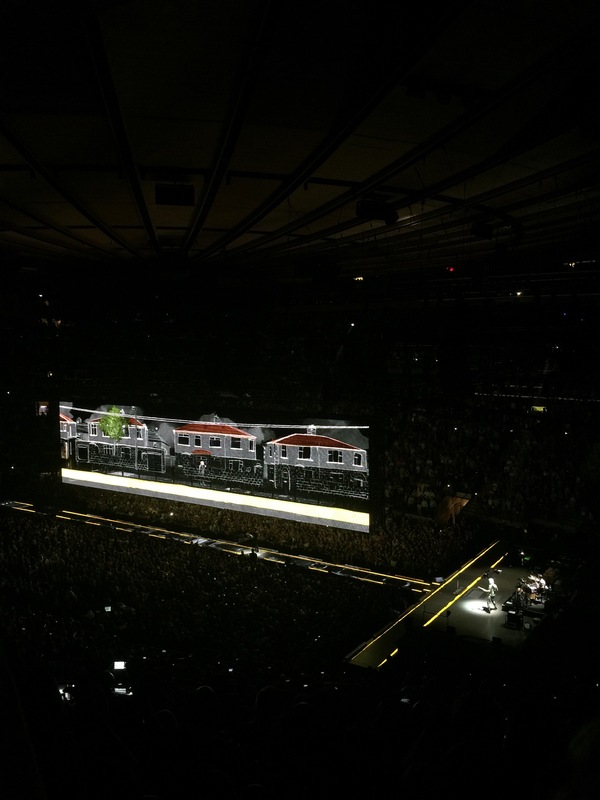 So pumped for U2 at MSG!! 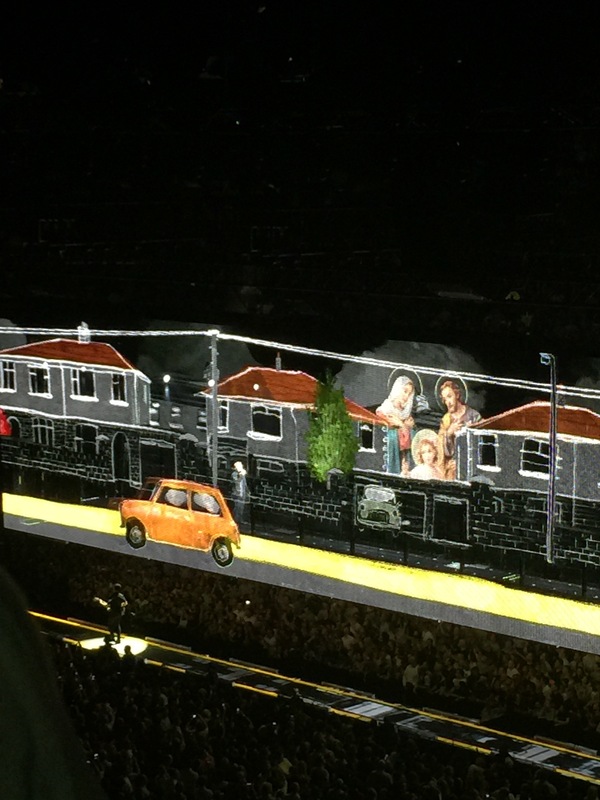 We’d hoped that spotting U2’s head of security meant they’d be coming out to greet fans. No such luck. Overall, this show just didn’t cut the mustard for me and that is incredibly uncomfortable to say, but it’s true. I still love U2 and appreciate them tremendously and hope they were just having an off night, which everyone is surely entitled to.